Treatment-naïve patients with advanced clear-cell renal cell carcinoma had significantly longer progression-free survival when treated with pazopanib instead of temsirolimus. Added to hormone therapy, docetaxel offers a cost effective way to prolong hormone-sensitive disease and improve quality of life years, especially among men with non-metastatic disease, study finds. Patients with bladder adenocarcinomas have the best survival, whereas those with small cell carcinomas of the bladder have the worst. The safety and efficacy of nivolumab for treating metastatic renal cell carcinoma is comparable to that found in the CheckMate 025 trial. In a phase Ib study, dual therapy with axitinib and pembrolizumab was well tolerated and demonstrated antitumor activity in treatment-naïve patients with advanced renal cell carcinoma. 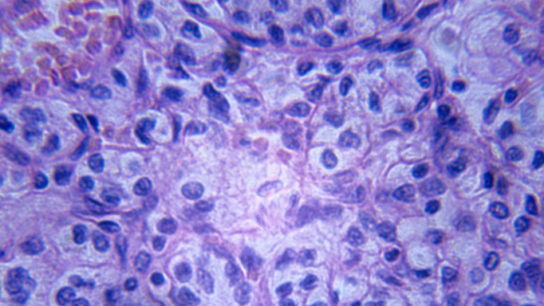 Study reveals a 38% decreased risk of death in patients with papillary metastatic renal cell carcinoma who undergo cytoreductive nephrectomy vs those who do not. Immunotherapy with atezolizumab plus targeted therapy with bevacizumab improves progression-free survival better than sunitinib in patients with untreated metastatic renal cell carcinoma. In a small phase 2 study of overweight men with recurrent prostate cancer, consuming less than 20 grams of carbohydrates a day resulted in profound weight loss. 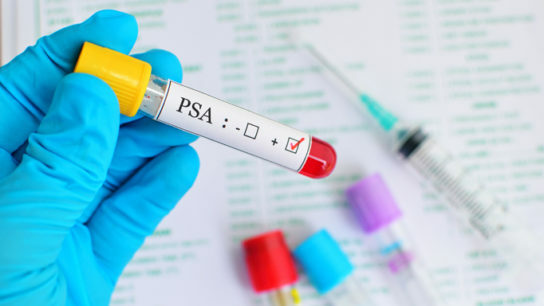 Metastasis and death are more likely to occur among patients with relatively high PSA levels at diagnosis of nmCRPC and rising PSA levels during follow-up.